Fire Wardens or Marshals as they are sometimes known, may be required under the RRO 2005 at a workplace subject to the fire risk assessment carried out at the premises. A number of factors determines if and how many Fire Wardens are required, for example, life and sleeping life risk i.e. number of employees, number of residents, number of persons sleeping in building, abilities of persons within building, size, age, and layout of building, building familiarity and what processes are going on within the building. 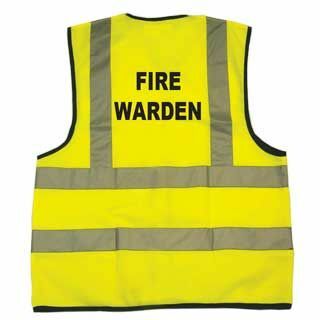 Fire Wardens should be present at all times during work periods, it is important to ensure adequate numbers of trained Fire Wardens to cover sickness and holiday absences. Fire Warden training is typically a one day course. The first half of the day is the Basic Fire Awareness Course with the second part of the day covering the Fire Wardens training. We offer enhanced 2 day Fire Warden training which is designed for high risk buildings. Details of this level of training are available on request. Fire Wardens are trained to a higher level so as to be able to carryout more comprehensive fire risk assessment, to spot and report hazards and to manage and assist in the evacuation of people during an fire alarm or fire situation. Fire Wardens are also trained to manage and fill in fire log/routines books and carry out the associated inspections. Fire Wardens are also trained to carry out first aid attack fire fighting with practical live fire fighting carried out.